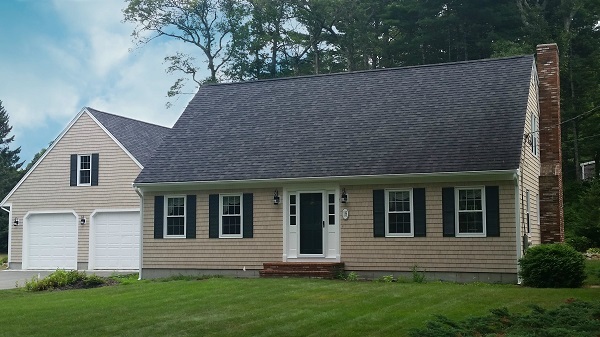 Dipped cedar shingle siding gave this Mattapoisett, MA home a classic New England makeover! This homeowner loved the look of natural wood and opted for Maibec White Cedar Shingles dipped in white bleaching oil. Maibec, North America’s largest manufacturer of Eastern white cedar shingles, is our most popular natural wood siding thanks to their outstanding product quality and beauty. For hundreds of years, homes have been clad with natural cedar siding – and for good reason – they last! Maibec warranties their shingles for 50 years against wood decay! Dipped shingles are extra durable because the protective coating helps make the siding water, mold, and UV resistant. Love natural wood siding? 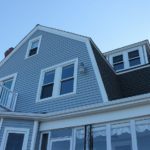 Be sure to check out our blog of these Westport, MA summer cottages and one of our favorite projects, the Nonquitt House! Do you want the look of natural wood siding but don’t want the maintenance? 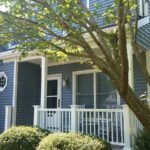 Consider Mastic Cedar Discovery, a vinyl product that replicates the look of dipped, painted, or natural cedar shingles! When installed by a professional contractor, like Care Free Homes, there is virtually no visible difference between natural wood and its vinyl cousin! We love Cedar Discovery on this Somerset, MA Cape Style home and the transformation of this New Bedford, MA home! Whether you’re considering natural cedar shingles, vinyl siding or both – get the ball rolling on your home improvement project! 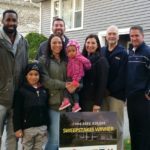 Call us at (508) 997-1111 and get a FREE quote today!